Thanks to inflation, box-office records seem to get broken every few weeks, but looking at the adjusted highest-grossing films list, one of the top ten features sticks out more than any other: William Friedkin‘s 1973 horror The Exorcist, considered by many to be the scariest film of all time. Besting even Avatar when it comes to adjusted domestic grosses, the film racked up $232 million in the U.S., which is over $900 million by today’s standards. 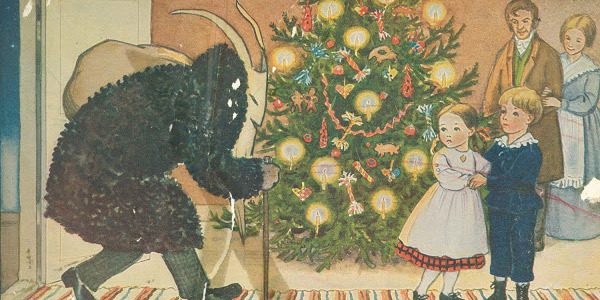 Nothing says Christmas quite like a terrifying monster. The worst isn’t the screams or the snow or the mind-numbing blare of “Night on Bald Mountain“ on repeat. It’s the cowbells: a rusty jangle that means the Christmas monsters are coming. Until Jan. 6, demons, witches and monsters haunt Europe. The season of terror actually begins on Dec. 5, the eve of Saint Nicholas’ Day, with public parades of the saint’s supposed companions: Across the Italian, Austrian and Slovenian Alps, cowbell-slung demons called Krampus storm mountain towns. In France, the legendary serial killer and butcher Pere Fouettard (Father Whipper) threatens naughty children with his whip, while in Belgium and the Netherlands, a controversial child-kidnapper called Zwarte Piet (Black Piet) rides through canals on a steamship. 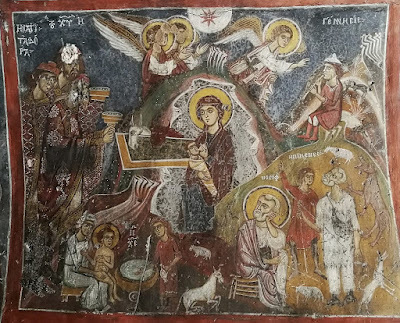 The fresco above, dated to 1289 from the church known as Omorphi Ekklesia on the island of Aegina, might appear upon first glance to be a standard Nativity scene typical of late Byzantine iconography. 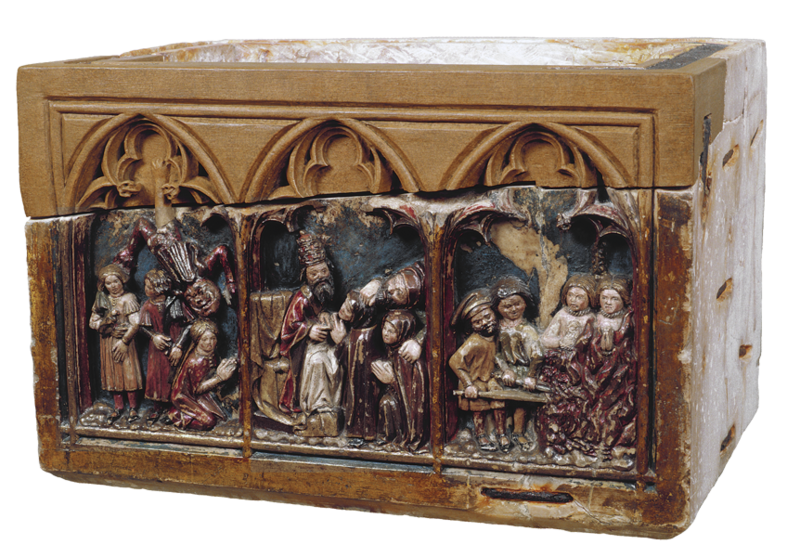 A closer look, however, reveals a number of unusual iconographic features, which suggest that first impressions are wrong, and that it is actually rather an unconventional treatment of the subject. First is that it depicts the Virgin Mary with the Christ Child at her breast, known in Greek as Galaktotrophousa, or Milk-Feeder. Though it is not unusual in itself, it is unusual to find it depicted in the late thirteenth century. 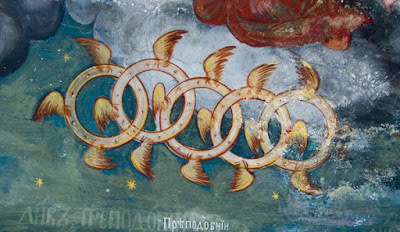 But as one looks at the painting, what catches the attention is the treatment of the Cave of Bethlehem, the birthplace of the incarnated Logos, which is shown as a rocky mass fringed by a corrugated band with six eyes depicted on it. These eyes encompass the Virgin and her new-born child, and are focused on the interior of the cave, seeming to follow the drama which unfolds within it. 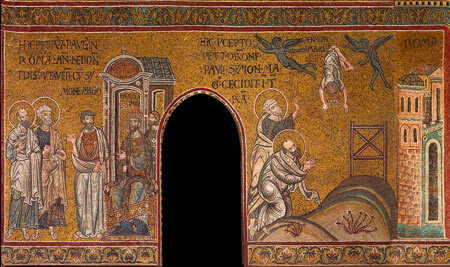 This composition with the Galaktotrophousa and the watching eyes is unique in Byzantine art. Another iconographic oddity, at first glance seems to be a standard genre feature. This is the figure of the dog on the right; with its long claws and gaping jaws the barking animal exudes an air of menace. Ferocious dogs of this kind appear in murals in the churches of San Pietro in Otranto, southern Italy and of Sts Anargyroi in Kipoula, Mani (1265), while a strange creature resembling a dragon rather than a dog can be found in the church of the Archangel Michael in Kouneni, Crete. The inclusion of this fierce creature in four near-contemporary Nativity scenes is unlikely to be a coincidence, and in view of the generally negative attitude to dogs held by the Byzantines, its presence here raises a number of questions. 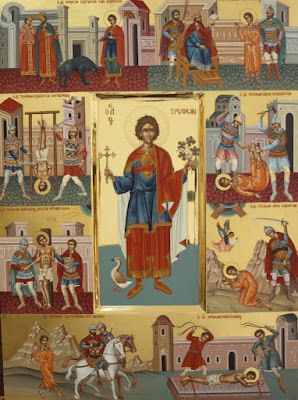 In hagiological and theological literature, descriptions of saints confronting the Devil in canine form and frequent comparisons of the Evil One to a dog suggest that this was a widely accepted belief in Byzantine society. 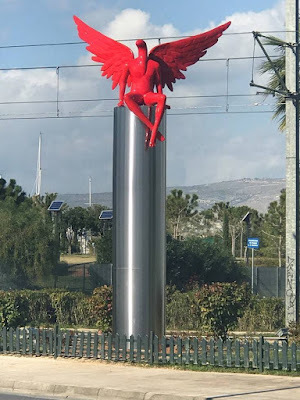 The purpose of including such ferocious animals in Nativity scenes seems therefore to be a reminder that on the margins of this joyful event lurked the evil presence of a demonic creature. 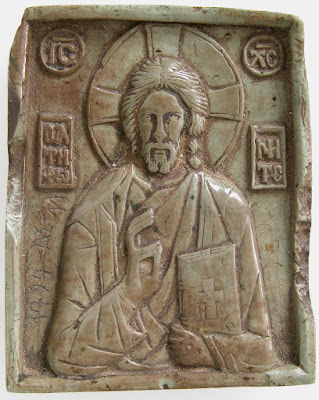 This teaching can also be found in the Nativity hymns of the Orthodox Church and patristic sermons on the Nativity. Like many other peoples throughout history, the Byzantines believed that it was pregnant mothers and new-born children who were most susceptible to the workings of the envious eye because of the risks and dangers arising from pregnancy and childbirth. 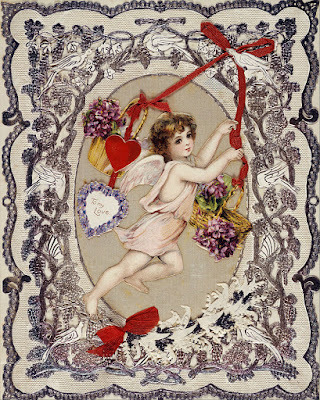 A whole series of apotropaic practices relating to babies and children indicates how widespread this belief was:red ribbons, for example, were tied to babies’ arms ‘as amulets to provide protection against diseases and the evil eye.’ On the other hand, although the church officially condemned such unorthodox religious practices, it offered prayers for the protection of mothers in labor and new-born children which – it is no coincidence – contained references to the evil eye. The Byzantine belief in witches, known in Greek as the Gelo, which was like a female demon, who endangers the life of new-born children and women during pregnancy and labor, may account for this. In an apotropaic text on the demon’s confrontation with Archangel Michael and her defeat at his hands, she gives a description of her powers, in accordance with the concept that in order to resist unfamiliar evil spirits one must first recognize their strengths: ‘I enter someone’s house in the form of a snake, a serpent … I go to wound women; wherever I go I cause them pain in their heart, and I dry up their milk … I kill infants.’ And she concludes: ‘When the holy Mary gave birth to the Word of truth, I went there to delude her, but I failed and was myself turned away deluded.’ As one of the Gelou’s appellations is given as ‘Baskosyne’ and a basic motive for her actions is envy, she is identified with baskania, the evil eye. The reference in the exorcism to the attack on the Virgin, though probably a magical formula expressing the demon’s strength and immunity, which can only be overcome by the powers of God, could have suggested the idea of danger to the Christ-child from the forces of evil and in particular the evil eye. The fact that the boundaries between Orthodox beliefs and practices on the one hand and magical rituals and superstitions on the other are not always recognized by the general public or sometimes even by priests lacking in theological knowledge makes this a very plausible theory. 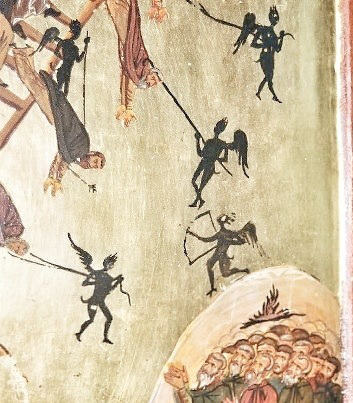 To return to the placing of eyes around the cave of the Nativity in the Omorphi Ekklesia, this should be interpreted as anapotropaic practice against envy and the Devil’s evil eye. The representation of an eye as a protection against baskania follows a basic apotropaic rule, in which the very thing which provokes the evil is used to destroy it. 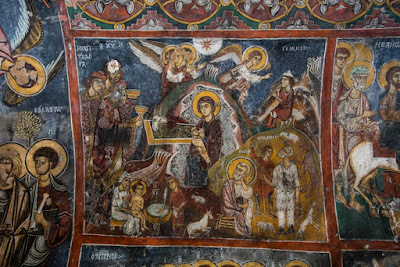 The fact that Christ is depicted at his mother’s breast supports this interpretation, since although this image basically emphasizes the doctrine of the Incarnation, it is at the same time a representation of an intimate and human moment in the life of the incarnated Logos, who is here no different from any other new-born infant; Christ is shown as an ordinary baby needing protection from the perils of the evil eye. 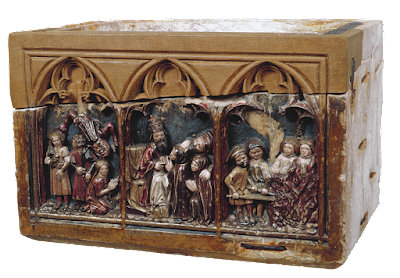 Finally, the interpretation of the eyes around the cave may also lie in the symbolism given to the sacred birthplace in ecclesiastical hymnography and homilies. 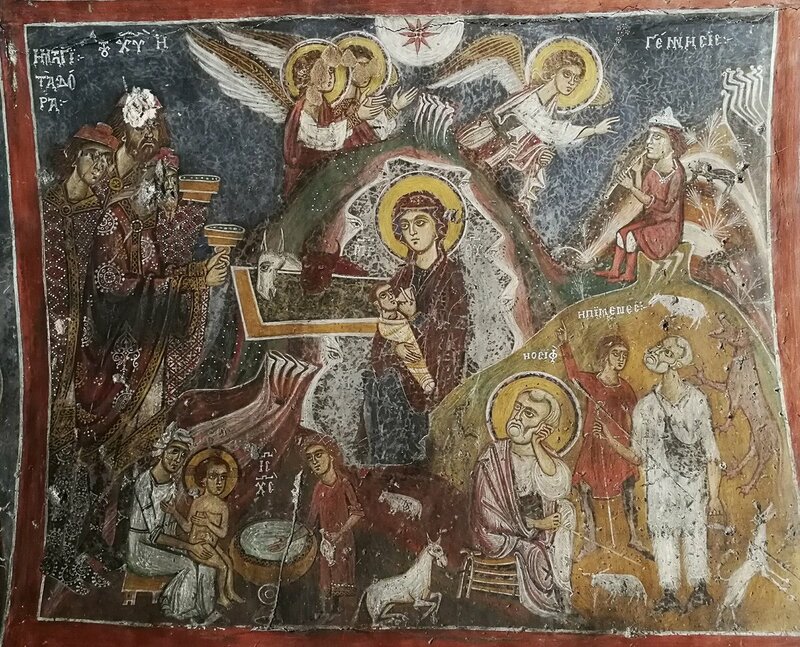 In addition to its associations with Paradise and Heaven and with the cave of the Burial and Resurrection, the cave of the Nativity is also likened to the ‘dark underground life of mortals’. This comparison is extended in hymns to the individual figure of the hymnographer and thence to that of the believer, who is characterized as a cave, and specifically a cave of robbers, i.e. demons. Christmas homilies associate the idea of the believer as a ‘cave of devils’ with the Cave of the Nativity, as in this later text: ‘The Lord was born in a poor, humble cave, to transform man who is the cave and dwelling of the robber and the murderous demon, the fearful evil devil, into the temple and house of the Holy Spirit’ (Archbishop Anthimos of Athens, late 14th c.). It was thus the belief that the Cave of the Nativity was to be compared with sinful and demon-dominated man, and more generally that caves were the haunt of demons,that led to the placing of these apotropaic symbols at the cave mouth. Read more about this image here. Halloween is in trouble. Each year editorials in magazines and newspapers and on television warn of dangers to children. And each year more communities "ban" Halloween. So what? Who needs it? What is Halloween anyway? It's just an excuse for big kids to make trouble, little kids to eat too much candy, and candy companies to peddle their wares. Bah, goblin-bug! Or so I thought until, despite all the warnings, I took my three children out last Halloween. Nine-year-old Bobby was the boldest. Seven-year-old Heather held back and was reluctant to approach houses of near neighbors she didn't know well; but curiosity and pride in showing off her home-made witch's costume won out in the end, and she'd go racing after Bobby up the walk, and be just as delighted as he was at the smiles and words of praise and handfuls of candy that greeted them. Three-year-old Mikey held me tight and wouldn't let me put him down, but he wouldn't let me take him home either, watching all the doings intently. The Holy Martyrs Lucian and Marcian, living in the darkness of idolatry, applied themselves to the vain study of the black arts; but were converted to the faith of Christ by finding their charms lose their power upon a Christian virgin, and the evil spirits defeated by the sign of the cross. 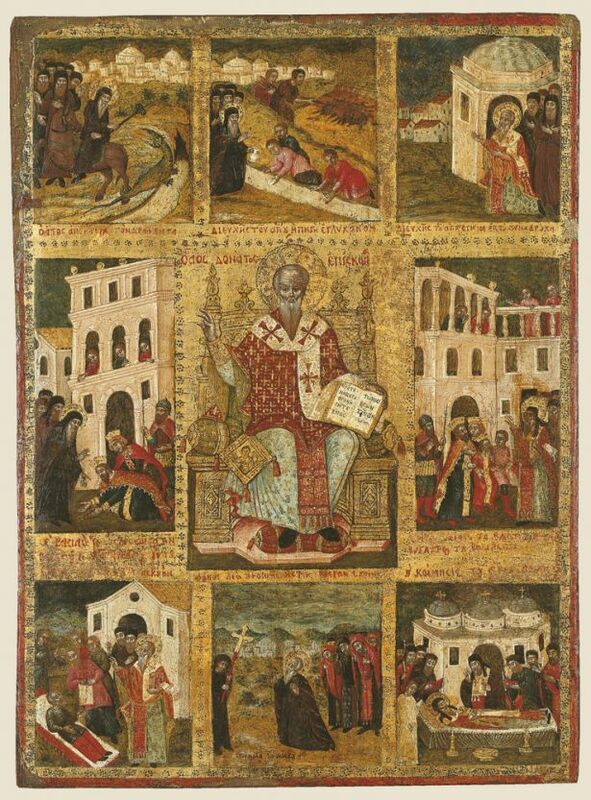 Their eyes being thus opened, they burned their magical books in the middle of the city of Nicomedia and, when they had effaced their crimes by baptism, they distributed their possessions among the poor, and retired together into solitude, that by exercising themselves in mortification and prayer, they might subdue their passions, and strengthen in their souls that grace which they had just received, and which could not safely be exposed to dangers, and occasions of temptations in the world till it was fenced by rooted habits of all virtues, and ascetic exercises. There are a few ways demons express their anger in physical form. 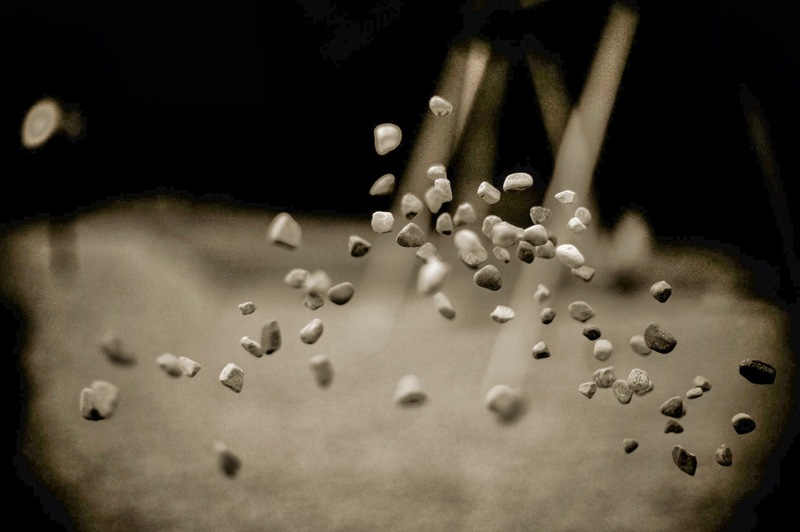 One of the more characteristic ways, recorded many times throughout history till the present day, is by throwing stones. Demons throw stones at people in order to hurt those who anger them. Though we know the belief in witches was an issue in the Eastern Roman Empire of the eighth century from the short treatise of Saint John of Damascus titled On Witches, little known is that there was an actual witchcraft trial in Constantinople at around the same time the Damascene wrote his treatise. 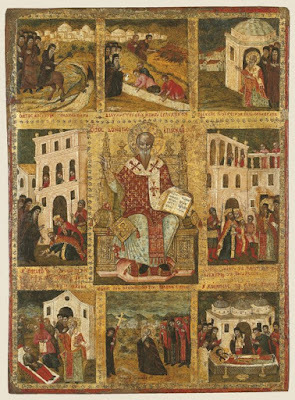 Iconoclasm provides the context for this episode, and it is recorded by Ignatios the Deacon (c. 770-c. 845) in the Life of Patriarch Tarasios, who had ordained him to the diaconate. The chief protagonist is not Tarasios, but his father George, who was an iconophile that served the iconoclast emperors Leo (717-741) and Constantine V (741-775). George had been promoted to the highest judicial seat and had an irreproachable reputation as a just judge who treated all equally and fairly before the law. On account of George's moral integrity, he himself was once made to stand trial on account of his correct observance of the laws. George's straight judgment and procedure had been disputed by the rulers who chose not to exercise justice. The case, briefly, was this. On Witches (Περὶ Στρυγγῶν = Peri Stryggōn, Migne PG 94 1604) is perhaps the shortest treatise among the written works of John Damascene (676-749), and perhaps the earliest ecclesiastical text on the subject of the folklore surrounding witches, though this, along with his treatise On Dragons, may have been part of a larger treatise addressing such subject matter. As far as I know, though it is very short, it has never been fully translated before into English. 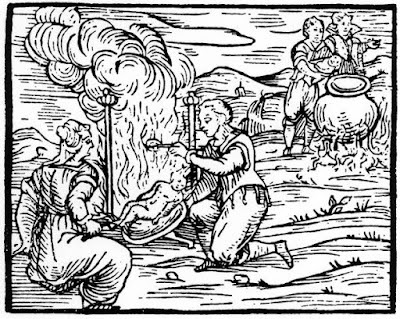 Even the best known and the most important treatise on witchcraft, the Malleus Maleficarum, usually translated as the Hammer of Witches, published in 1487, does not even mention this text, although it does quote John Damascene as an authority on other subjects about a handful of times. 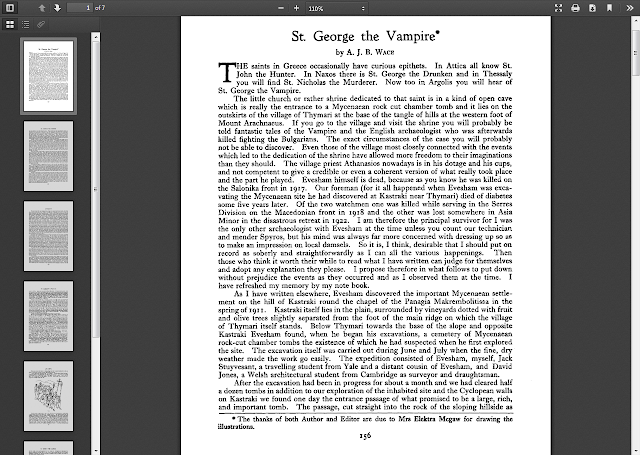 Perhaps it doesn't mention this text because it refutes the myths and folklore about witches, as opposed to the contents of the Malleus Maleficarum, which was used to justify belief in such things and led to the deaths of thousands of falsely accused witches in both Europe and North America (most notably in Salem, Massachusetts during the Salem Witch Trials from 1692-1693). On a certain day, a young boy that was a monk, loving his parents more than reason would allow, went from the Abbey to their house, without asking the holy father Benedict's blessing beforehand. The same day that he came home to them, he departed this life. Being buried, the next day after, his body was found cast out of the grave. They caused it to be put back in, but again, the day following, they found it as before. Scott Derrickson is a very nice guy who makes movies about things that aren’t very nice. Articulate, thoughtful and disarmingly frank, Derrickson is a rare outspoken Christian in Hollywood. 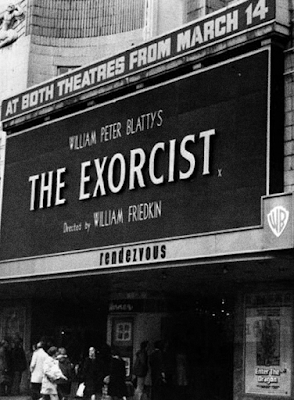 He’s also a horror filmmaker and aficionado probably been best known for the 2005 supernatural thriller The Exorcism of Emily Rose — though his recent deal with Marvel to bring the comic-book character Doctor Strange to the big screen changes that in a big way. This dissertation is a study of John Chrysostom’s demonology as it relates to his theological anthropology and soteriology. 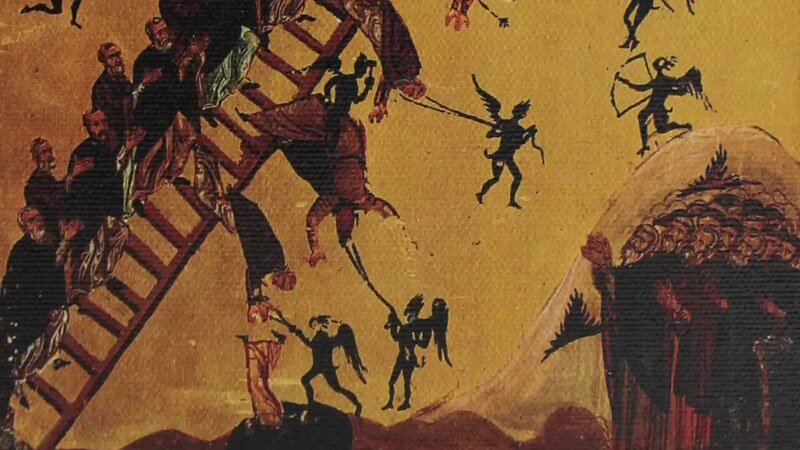 Demons run rampant in Chrysostom's thought, though few scholars have taken note of this. Studies of Chrysostom often focus on his exegetical practices, his asceticism, or his social vision and morality. Indeed, many scholars dismiss Chrysostom as unsophisticated and therefore of little value in the landscape of fourth-century theology. In analyzing Chrysostom’s demonology, we see that Chrysostom’s thought is complex and worth further consideration. One cannot treat demons in Chrysostom’s work without treating other theological topics as well. When Chrysostom discusses demons he does so for the sake of bringing his congregation to salvation. 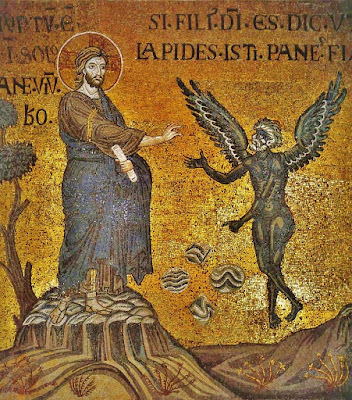 Drawing on Stoic categories for discussing “true” versus “apparent” harm, Chrysostom uses rhetoric about demons to highlight humanity’s freedom and self-determination. Each person has a προαίρεσις, which is free and is the locus of moral responsibility, a faculty demons cannot compel. 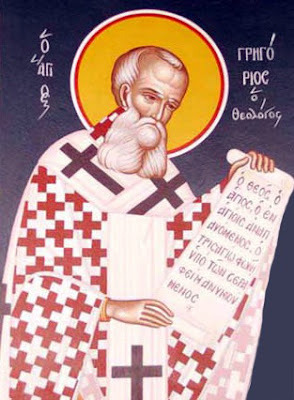 The προαίρεσις is what enables a person to be virtuous. Chrysostom then argues that because each person is able to be virtuous, God expects each person to be virtuous, and this virtue is a necessary aspect of salvation. Though God reconciles humanity to God’s self in the incarnation, death, and resurrection of Jesus Christ, and though Christ continues to help a person be virtuous, the responsibility for virtue, and thus salvation, lies with the human being. 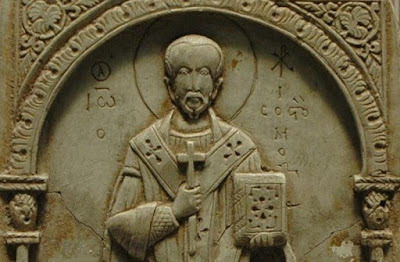 In short, Chrysostom's demonology and account of self-determination exert a mutual influence on one another, self-determination is necessary for virtue, and virtue is integral to salvation. Therefore, in order to have a fully developed account of Chrysostom's theological anthropology and soteriology, one must also understand Chrysostom’s demonology. 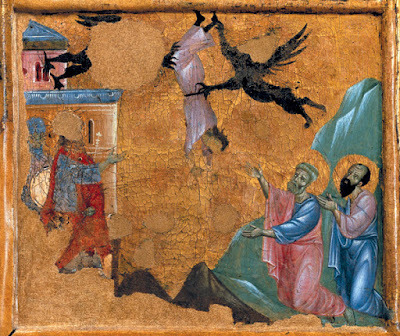 Chrysostom's soteriology is better understood when the role of demonology in his theology is taken into account because Chrysostom's engagements with demonology are an entrance to his soteriology and highlight the depth to which Chrysostom believes humans are responsible for their own salvation. Throughout the biblical and patristic tradition two views of the devil can be discerned. 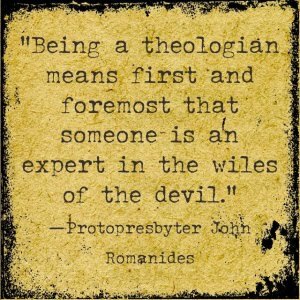 The first is that the devil is not merely a personification of evil or something abstract, but a specific being who works to prevent human beings from being saved. The second is that the devil’s authority, power and energy are of limited strength since the Incarnation of Christ. God’s supremacy over the strength of the evil one is obvious throughout our Tradition. Christ, as mentioned already, came to defeat the devil and to free man from his tyranny. This is clear from the miracles when people possessed with demons were healed. The demons themselves understood this, because at one point they said, “What have we to do with Thee, Jesus, Thou Son of God? Art Thou come hither to torment us before the time?” The healings of demoniacs are an expression of the eschatological destruction of the devil’s power. 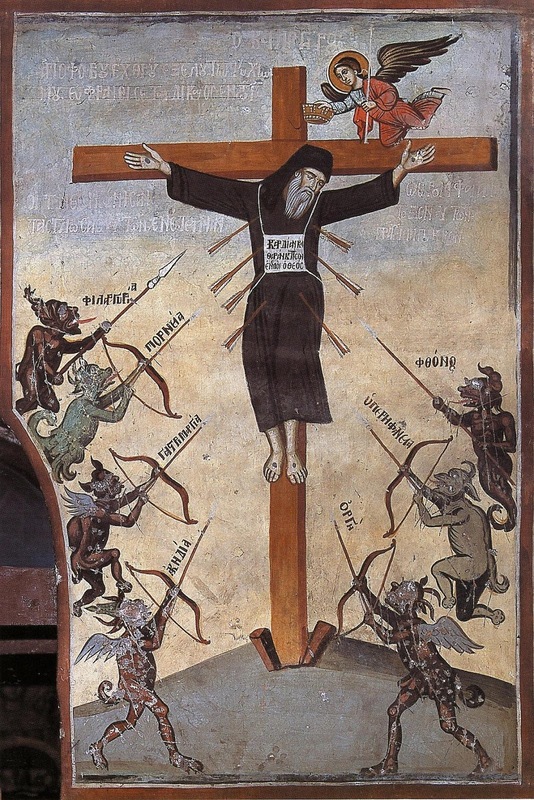 This destruction of satanic power was achieved through the Cross, as the Apostle Paul tells us: “Having spoiled principalities and powers, He [Christ] made a show of them openly, triumphing over them in it [the Cross]” (Col. 2:15). At the outbreak of the persecution (c. 37 A.D.) of the early Christian community at Jerusalem that began with the martyrdom of St. Stephen, when Philip the Deacon went from Jerusalem to Samaria, Simon lived in the latter city. By his magic arts, because of which he was called "Magus", and by his teachings in which he announced himself as the "great power of God", he had made a name for himself and had won adherents. He listened to Philip's sermons, was impressed by them, and like many of his countrymen was baptized and united with the community of believers in Christ. But, as was evident later, his conversion was not the result of the inner conviction of faith in Christ as the Redeemer, but rather from selfish motives, for he hoped to gain greater magical power and thus to increase his influence. For when the Apostles Peter and John came to Samaria to bestow on the believers baptized by Philip the outpouring of the Spirit which was accompanied by miraculous manifestations, Simon offered them money, desiring them to grant him what he regarded as magical power, so that he also by the laying on of hands could bestow the Holy Spirit, and thereby produce such miraculous results. Full of indignation at such an offer Peter rebuked him sharply, exhorted him to penance and conversion and warned him of the wickedness of his conduct. 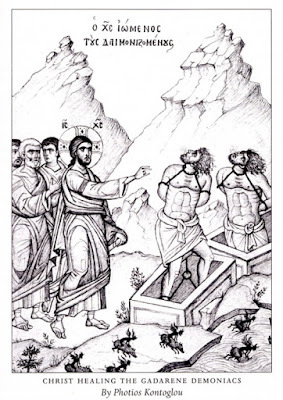 Under the influence of Peter's rebuke Simon begged the Apostles to pray for him (Acts 8:9-29). However, according to the unanimous report of the authorities of the second century, he persisted in his false views. 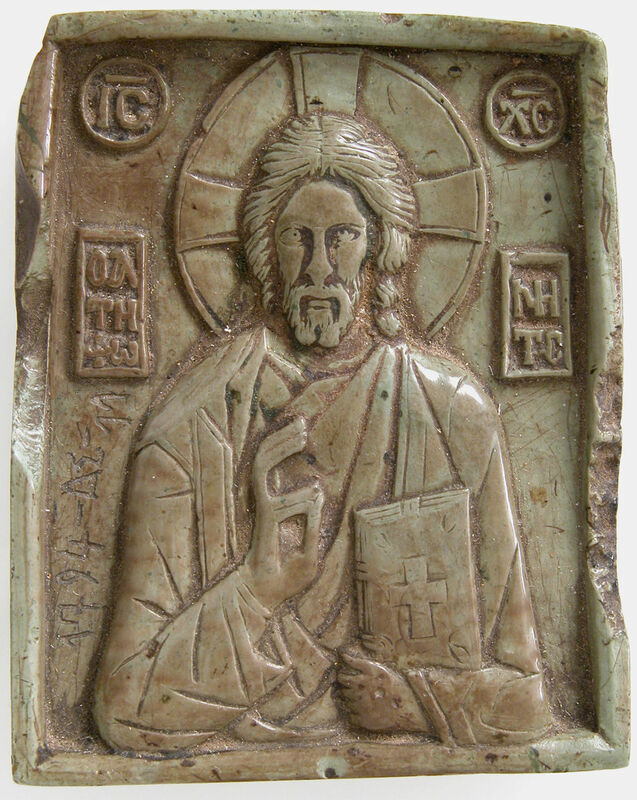 The ecclesiastical writers of the early Church universally represent him as the first heretic, the "Father of Heresies". 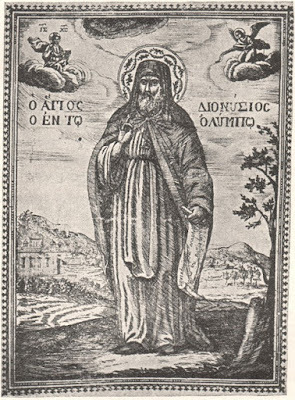 Simon Magus, after passing through diverse provinces, came to Rome, and there gained a high reputation. 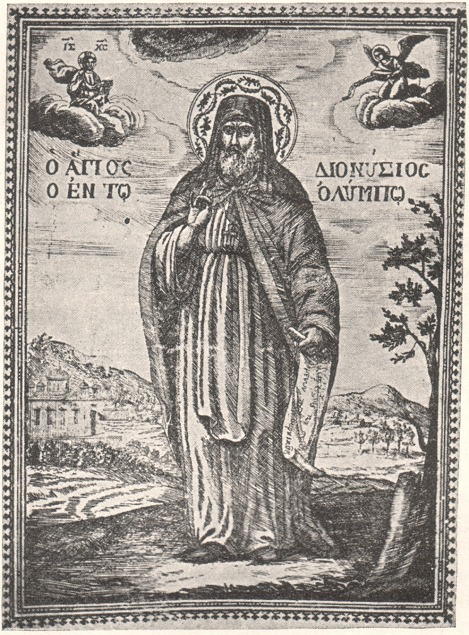 St. Justin Martyr, St. Irenaeus, Tertullian, Eusebius, St. Cyril of Jerusalem, and Theodoret, assure us, that divine honors were paid him there, and that a statue was erected to him in the isle of Tiber, by the emperor Claudius and the senate, with this inscription: “Simoni Deo Sancto” (Simon the Holy God). When Nero came to the throne, the greatest monster of cruelty and vice that perhaps ever disgraced the human species, Simon Magus found a means to ingratiate himself with this tyrant; for Nero was above all mortals infatuated with the superstitions of the black arts to the last degree of folly and extravagance. To excel in this was one of his greatest passions; and for this purpose he spared no expense, and stuck at no crimes. But all his endeavors were fruitless. 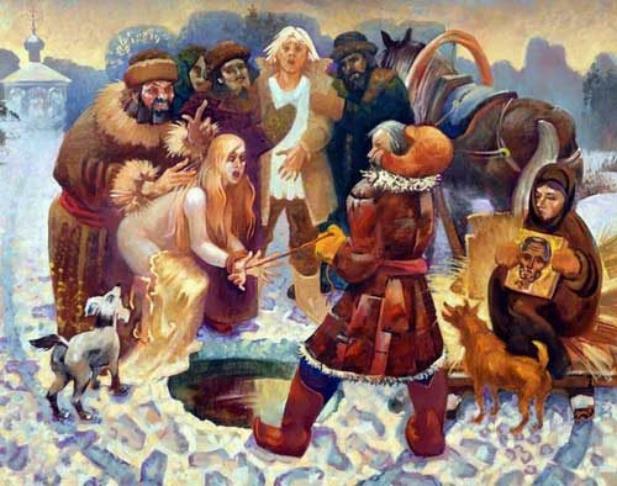 When Tiridates, a Parthian prince, who was a magician, came to Rome, and was crowned by Nero king of Armenia, in the forum, the tyrant hoped to learn of him some important secrets of that detestable superstition. The most skillful of the Parthian magicians exhausted all their science to satisfy him; but only gave the world a new proof of the emptiness of that art. Pliny concludes from this want of success in Nero, and Tillemont repeats the same of Julian the Apostate, that seeing the utmost skill of those who have most addicted themselves to this deceitful art, joined with the greatest power and impiety, was never able to effect anything by it, every one must rest convinced, that magic is no less vain and idle, than it is impious and execrable. Simon Magus, by his vain boastings, and illusions, could not fail to please this tyrant. The fathers assure us that this famous magician had promised the emperor and people to fly in the air, carried by his angels, thus pretending to imitate the ascension of Christ. Accordingly he raised himself in the air by his magical power, in the presence of the emperor. Sts. 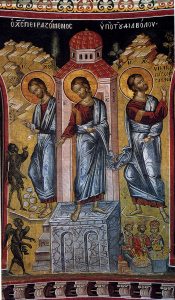 Peter and Paul, seeing the delusion, betook themselves to their prayers; upon which the impostor fell to the ground, was bruised, broke a leg, and died a few days after in rage and confusion. 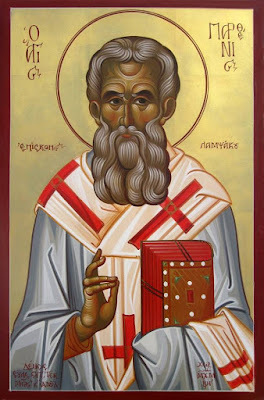 This wonderful event is related by St. Justin, St. Ambrose, St. Cyril of Jerusalem, St. Austin, St. Philastrius, St. Isidore of Pelusium, Theodoret, and others. Dion Chrysostomus, a heathen, writes that Nero kept a long time in his court a certain magician, who promised to fly. And Suetonius says, that at the public games a man undertook to fly in the presence of Nero, but fell in his first attempt, and his blood even stained the balcony in which the emperor stood. This historians have understood to be Simon Magus. There are many demons, as the whole biblical and patristic tradition teaches. It is evident both in Holy Scripture and the works of the holy Fathers that Satan is not alone: there are many demons. There are many like him. Also, some demons are more evil than others, and every demon has his own teaching, as well as his own way of acting and working. We shall look at this interesting topic. Many passages of Holy Scripture demonstrate that there are a large number of evil spirits in existence. The most well known are as follows. The possessed men in the country of the Gerges-enes had many demons. For that reason they spoke in the plural: “And, behold, they cried out, saying, What have we to do with Thee, Jesus, Thou Son of God? Art Thou come hither to torment us before the time?” (Matt. 8:29). 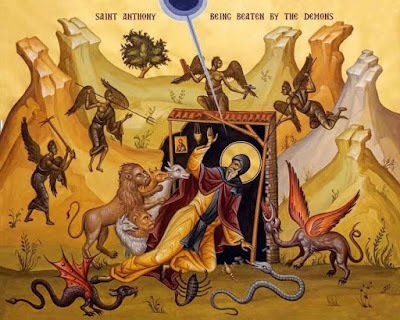 When St Mark the Evangelist describes the healing of the demoniac in the country of the Ga-darenes, he records Christ’s conversation with the demons inside the man. When Christ asked, “What is thy name?”, they replied “My name is Legion: for we are many.” The account continues, “All the devils besought Him, saying, Send us into the swine.” As soon as Christ granted this wish, “The unclean spirits went out, and entered into the swine” (Mark 5:9-13). The Apostle Paul knows that there is not one single “ruler of this world” or one single evil spirit, but many rulers and many evil spirits, so he writes, “For we wrestle not against flesh and blood, but against principalities, against powers, against the rulers of the darkness of this world, against spiritual wickedness in high places” (Eph. 6:12). Explaining what Christ achieved on the Cross, the same Apostle says, “Having spoiled principalities and powers, He made a shew of them openly, triumphing over them in it” (Col. 2:15). All these demons teach different things. Each demon has his own way of thinking and acting, but the aim of all is to separate man from God and bring about his eternal death. St Paul knows that many will depart from the faith in the last times, “giving heed to seducing spirits, and doctrines of devils” (1 Tim. 4:1). Describing the wiles and the activities of the devil is not easy. The difficulty is that only those who have managed to escape from his influence are able clearly to discern how he works. By studying the teachings of the saints, however, we too can recognise the devil’s personality and the method that he uses to capture people and keep them under his control. We rely mainly on the teaching of the saints, who were victorious over the devil in the power of Christ. Thus we too can repeat the Apostle Paul’s words: “For we are not ignorant of his devices” (2 Cor. 2:11). The experience of the Church has exposed all the schemes of the devil and his mentality. It was 1988. I was twelve years old. My aunt was babysitting my older two sisters and I and she decided to take us to the movies. There were no good PG rated movies my aunt wanted to see, but then she saw a movie starring Demi Moore that she did really want to see, however it was rated R. My aunt asked me if I wanted to see it, but I was nervous to see a rated R horror movie, as I was easily frightened by horror films as a child, and this would also be the very first rated R movie I would ever see in a theater. I gave in, half excited and half nervous. 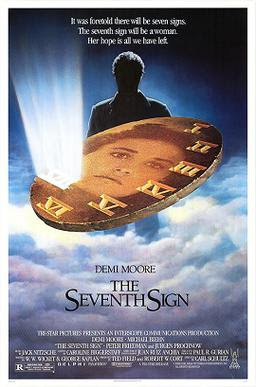 The movie we were going to watch was called The Seventh Seal. If you want foreboding old buildings that dark lords and werewolves are bound to frequent, look no further than Britain’s enviable Gothic architecture. 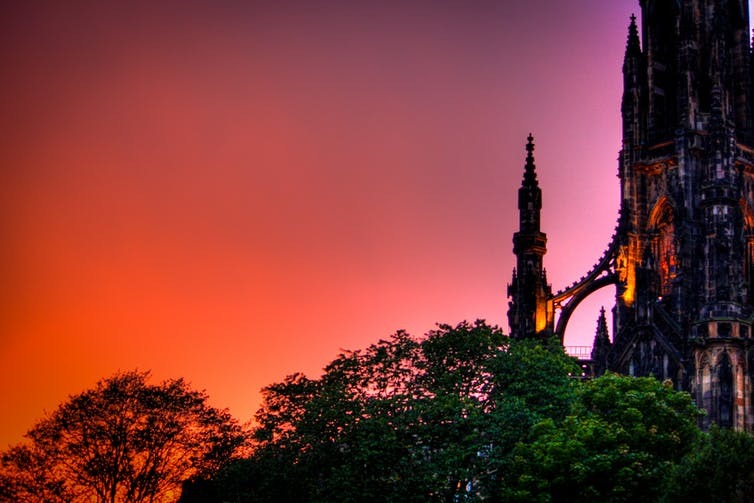 From Strawberry Hill in London with its twisting corridors and glaring pinnacles, to ruined abbeys and cathedrals such as St Andrews and Jedburgh, darkness seems to thrive in these places – the perfect location for a Halloween party if you’re lucky enough to be invited. 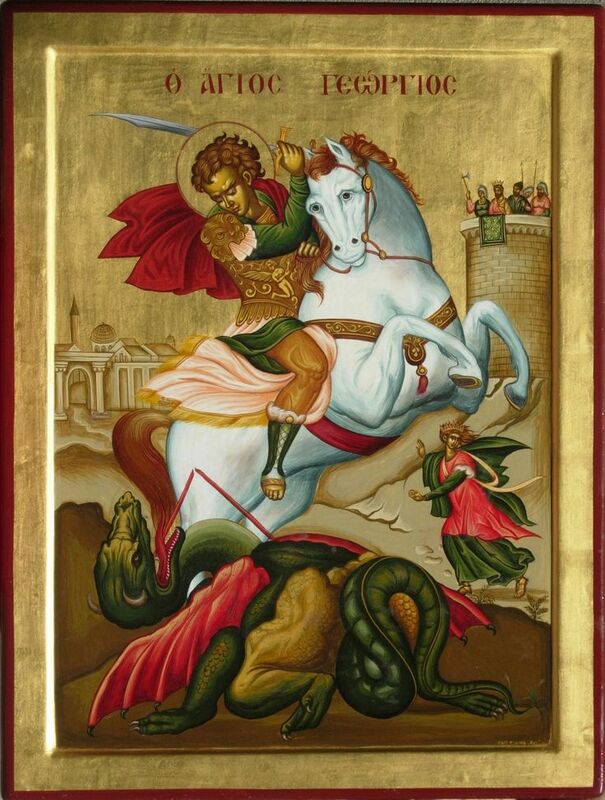 Today is the Eve of the Feast of Saint George! Which means that if you are still alive after tonight, you survived what is known in Eastern Europe as the most dangerous night of the year, as the powers of vampires and witches and every evil were at their height on the Eve of the Feast of Saint George. The daughter of Saint Richard the Pilgrim and sister of Saint Willibald, Saint Walpurga (also known as Saint Walpurgis) was born in Devonshire in 710 A.D. An English princess, Saint Walpurga studied medicine and became a Christian missionary to Germany, where she founded an double monastery in Heidenheim. As a result of Saint Walpurga's evangelism in Germany, the people there converted to Christianity from heathenism. In addition, the monastery became an education center and soon became famous as a center of culture. Saint Walpurga was also known to repel the effects of witchcraft. 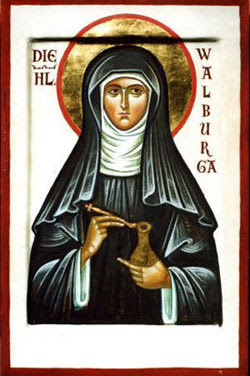 She perished in 777 and her tomb, to this day, produces holy oil (known as Saint Walburga's oil), which is said to heal sickness; Benedictine nuns distribute this oil in vials to Christian pilgrims who visit Saint Walpurga's tomb. 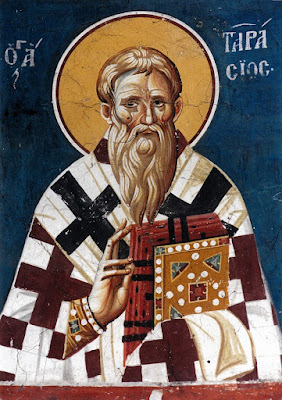 "There were at this period many other bishops in various parts of the empire highly celebrated for their sanctity and high qualifications, of whom Donatos, Bishop of Euroea in Epirus, deserves to be particularly mentioned. The inhabitants of the country relate many extraordinary miracles which he performed, of which the most celebrated seems to have been the destruction of a dragon of enormous size. It had stationed itself on the high road, at a place called Chamaegephyrae and devoured sheep, goats, oxen, horses, and men. Donatos came upon this beast, attacked it unarmed, without sword, lance, or javelin; it raised its head, and was about to dash upon him, when Donatos made the sign of the cross with his finger in the air, and spat upon the dragon. The saliva entered its mouth, and it immediately expired. As it lay extended on the earth it did not appear inferior in size to the noted serpents of India. I have been informed that the people of the country yoked eight pair of oxen to transport the body to a neighboring field, where they burnt it, that it might not during the process of decomposition corrupt the air and generate disease... The inhabitants of Isoria, a village in the territory of Euroea, bear testimony to the truth of this narration." Alan John Bayard Wace (13 July 1879 in Cambridge, England – 9 November 1957, in Athens, Greece) was an English archaeologist. He was educated at Shrewsbury School and Pembroke College, Cambridge. He was director of the British School at Athens (1914-1923), Deputy Keeper in the Department of Textiles in the Victoria and Albert Museum (1924-1934), the second Laurence Professor of Classical Archaeology at University of Cambridge (1934-1944) and professor at the Farouk I University in Egypt (1943-1952). Among Wace's field projects were those at Sparta, Mycenae, Troy, Thessaly, Corinth, and Alexandria. Along with Carl Blegen, Wace carried out important work on the decipherment of Linear B tablets. Click on text to enlarge. It is they who trouble themselves. A few weeks ago I had the opportunity to visit Zak Bagans' The Haunted Museum in Las Vegas, where among the haunted treasures is kept the final remains of the notorious Demon House, where one of the most controversial and widely-publicized paranormal cases of the last few decades took place in Gary, Indiana from 2011 to 2014. In the museum you can see the actual basement stairs of the Demon House, as featured in the documentary, under which is the original soil from where certain items were buried under the stairs and uncovered, and these items are also preserved in the museum. When you approach the room containing these items, the door is shut with a crucifix above the door to "contain the evil within." We are warned by the tour guide to enter at our own risk, if we choose, knowing that those who had lingered in the house in the past, including Zak himself, had suffered physically and/or mentally. Everyone in my group entered the room, and one young man even had to leave because he started to get a painful headache. 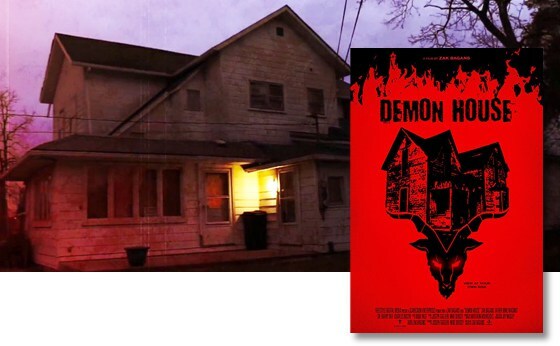 The reason this museum has the last remains of the Demon House, is because Zak himself had purchased it to investigate it, but when things went wrong and took a turn for the worse, he decided to tear it down in January 2016 hoping that it would never bring harm to anyone again - though he couldn't resist saving some items for his museum. 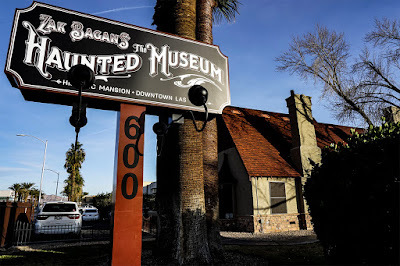 Last week I had the opportunity to visit perhaps the most fascinating and dangerous museum I have ever visited - Zak Bagans' The Haunted Museum in Las Vegas. Since it opened a few years ago, I wanted to visit, thinking at least there would be some interesting things, but having now visited, I must say it was much more than I expected, and Zak has outdone himself in accumulating a collection truly worthy of a museum bearing his own name. For those familiar with Zak Bagans, they know that he is the eccentric lead paranormal investigator on the hit show Ghost Adventures who is not afraid to expose himself to the darkest sides of the paranormal, and this museum fully explores his macabre interests. Apparently, Zak Bagans developed a profound interest in the paranormal when he was just 10 years old, scouring nearby garage sales with his mom in search of odd and spooky collectibles. Now with this museum he is giving everyone a chance to experience the spine-chilling vibe of the spirit world that has fascinated him since childhood. 'A demon-possessed person was taken to a monastery, and the abbot there instructed the fathers to go to the chapel and pray for him with their prayer ropes. In that monastery, they also had as a holy relic the head of Saint Parthenios, Bishop of Lampsakos; this had the demon "cornered" quite a bit. At the same time, the abbot assigned the reading of exorcisms to a certain hieromonk. This monk was pious outwardly, but inside he was secretly arrogant. He was a fighter and a stickler in everything he did. He used to counsel the others, because he was also scholarly. He himself however would not receive help from anyone, because out of respect, they would hesitate to tell him whenever they saw him doing something incorrectly. He had created illusions inside himself that he was the most virtuous one in the monastery, so the evil one grabbed the opportunity that day to harm him. The demon implemented its wickedness and made him think that he was driving it out of the demon-possessed person. What is today known as Sant'Agata dei Goti (Saint Agatha of the Goths) is a church in Rome dedicated to the martyr Saint Agatha. 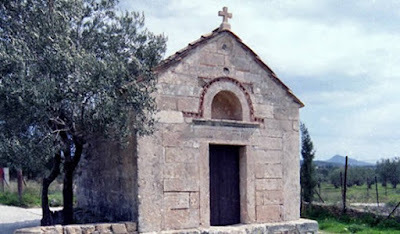 It was built by Ricimer for the Goths c. 460. The Goths were Arians, so when Arianism was suppressed in Rome, the building was taken over by the Church, in 592 or 593, and reconsecrated by Pope Gregory the Great after placing there portions of the relics of Saints Stephen and Agatha. It was restored in the ninth century, and a Benedictine monastery was founded next to it. The apse of the church collapsed in 1589, and it was partially rebuilt in 1633, without major changes to the building itself apart from the new apse. The small courtyard outside the church was laid out at this time. The church has been served by the Stigmatines since 1926. Their generalate is adjacent to it. 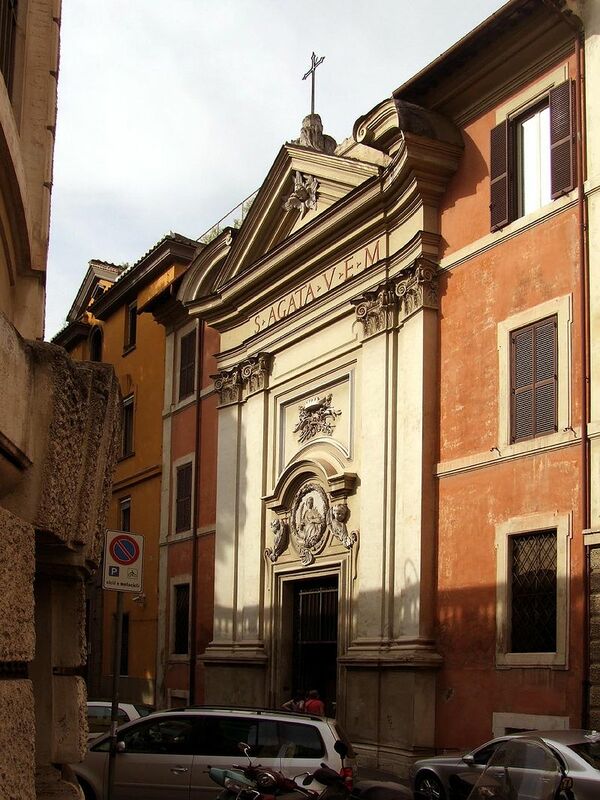 It is the only Arian church that has been preserved in Rome. Saint Tryphon was from Lampsakos in Phrygia, and lived during the reigns of emperors Gordian (238-244), Philip (‎244–249) and Decius (249-251). He was most poor in his young age, and was a keeper of geese to earn a living. 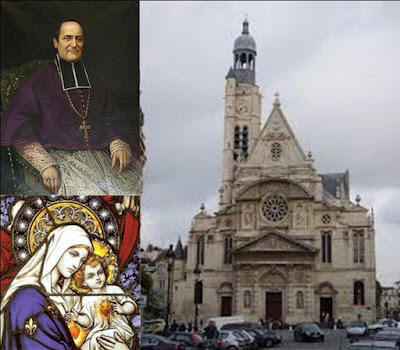 Although he occupied himself with his humble occupation, at the same time he studied Holy Scripture, and with much zeal performed his religious duties. Holy Scripture says: "God opposes the proud, but gives grace to the humble" (Jam. 4:6). 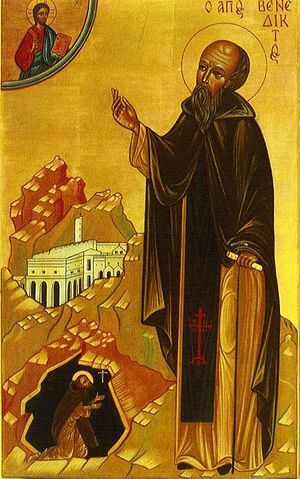 Indeed, the humble Tryphon with his pious curiosity slowly became capable not only of knowing much himself, but he also taught. He also received divine grace to heal the sick and the demon possessed. The daughter of Emperor Gordian had long been possessed by a furious demon, which defied being expelled by the pagan magicians. One day it shouted: "Only Tryphon has the power to drive me out!" Gordian sought throughout the Empire for this Tryphon, and he was eventually found to be a seventeen year old boy peacefully tending his flock of geese.